Purchase your genuine and non genuine Electrolux appliance spare parts from Yourspares, we offer the entire Electrolux spare parts catalogue for all Electrolux domestic appliances. 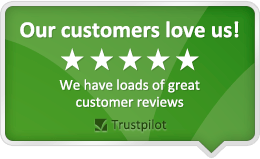 All parts are protected by our price match guarantee should we not be offering the very best price at the time of purchase and many are available for a next working day delivery. Over a period of time and after use you may notice a change in the operation of your appliance, most appliances have consumable spare parts which need changing on a frequent basis. For example an Electrolux vacuum cleaner will need new vacuum cleaner bags and filters on a frequent basis. On a not so frequent basis it may also require a new belt or even a new brush roller, handle, wheel or hose, on these occasions you can be certain that the high quality parts you require will be on offer from yourspares. Here at yourspares we offer two types of electrolux spare parts for most appliances, first of all we offer the entire genuine spare part range which we source directly from the manufacturer themselves. These genuine Electrolux spares are of the highest possible quality and will be the perfect fit for your appliance as they are made specifically to replace an existing part which may have gone faulty or simply needs replacing as a consumable part. 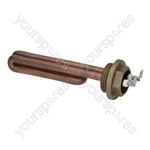 For those on a budget we also list and stock a range of pattern Electrolux spare parts, these are non genuine parts which have been created as cost saving alternatives to the original spares. Although these spares are of very high quality and are made to exact specifications, using non genuine spare parts may affect the warranty oo your appliance. If your Electrolux appliance is still within the warranty period we would suggest using only the genuine Electrolux parts. Not only do we offer and provide Electrolux appliance spare parts, we also carry parts for more than 100 other appliance brands and other household spare parts and some finished goods. As an internet company that has been trading for more than 10 years we are aware of a customers needs which is why we have concentrated on offering excellent customer service, fast delivery and a fully complient returns procedure. Should you need any help locating a spare part for your appliance then we have a "find my spare" service. Should you require any spare parts for your Electrolux appliance then please give yourspares a try.